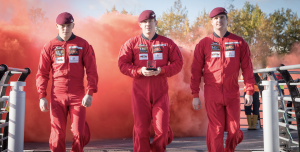 Red Devils to parachute into Alexandra Lake at intu Lakeside to hand over the first poppy of Essex. ON Friday 26 October, 12pm, intu Lakeside will launch the Poppy Appeal for Essex. 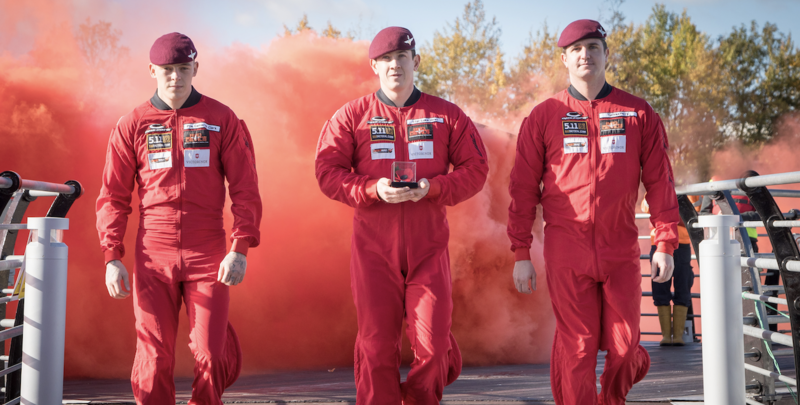 Weather permitting, the Red Devils team will parachute into Alexandra Lake to hand over the first poppy of Essex. With support from Stubbers Adventure Centre whose team and boats will be collecting the Red Devils team after the jump. Visitors to intu Lakeside will be able to watch this iconic event from The Boardwalk or the footpath alongside the lake at 12pm with the handover of the first poppy taking place by the Travelodge. The Red Devils will be holding a meet and greet on The Boardwalk after the official jump. The Grays branch of the Royal British Legion, will be selling merchandise and poppies from 12:30pm on Friday 26 October – Saturday 11 November. Last year shoppers helped to collect a record breaking, £24,492.13 of which £10,012.27 was collected by local Ken Collins. “Royal British Legion Grays Thurrock Branch is honoured to be continually supported by intu Lakeside each year for the annual Poppy Appeal and this year is no exception. intu Lakeside will also be hosting a remembrance service in centre on Sunday 11 November at 11am.